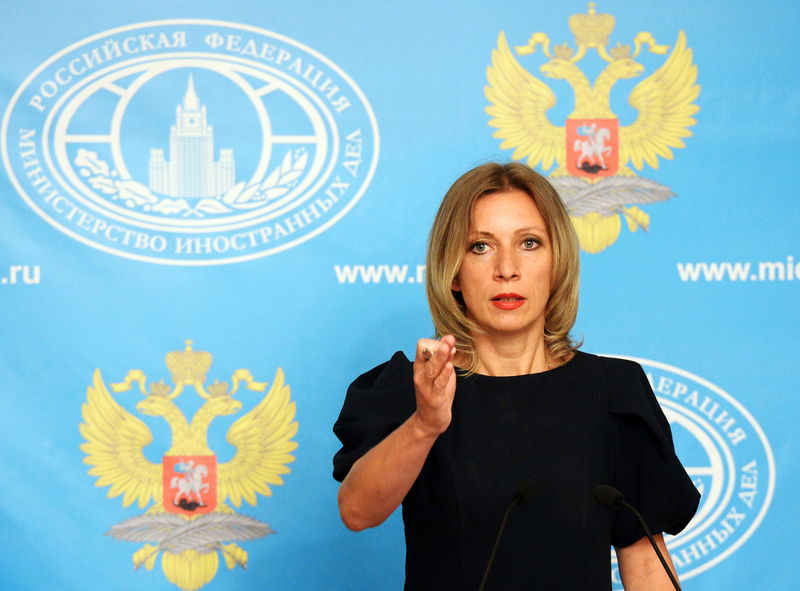 Moscow has been for the publication of its agreement with the United States on Syria from the very outset in order to avoid speculations, Russian Foreign Ministry spokeswoman Maria Zakharova told a news briefing on Sept. 15. "The Russian side from the very outset and in the process of coordination kept persuading the U.S. side to make public the whole package of agreements," she said. "We believe this can and must be done to ensure the package of documents should not be a subject matter of speculations." In order to "avoid wrong interpretations and manipulations of the parties to the conflict, who are ignorant of the details of the achieved agreements," Zakharova said, Moscow keeps calling for making this document public. Earlier, U.S. Department of State spokesman Mark Toner said that Washington was considering the possibility of publishing the agreement on truce in Syria in full or partially. He added that a final decision was yet to be made. Russian Foreign Minister Sergey Lavrov and U.S. Secretary of State John Kerry after thirteen hours of talks on Sept. 10 declared they had achieved an agreement on Syria. It envisages resumption of the cessation of hostilities regime, the separation of the opposition and terrorists and the delimitation of zones of air strikes against terrorists to be dealt by the Russian Aerospace Force and the U.S. Air Force.